A long way to Australia. The next morning for days an endless procession passed our house, always singing, marching or sitting on the small horse drawn Panje wagons. Perhaps this is why Russian Folk music just seems so natural to me. As soon as we had enough songs to play an hour we asked a Russian Restaurant if they needed music. They did and the rest is history. Here we met Ivan Rebroff and he immidiately wanted us to accompany him. 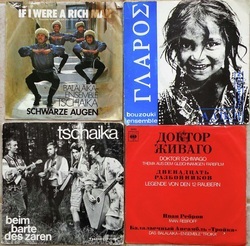 Just some months later the movie Zhivago was released and we hit the jackpot with the Russian version of the signature tune. We were on our way. 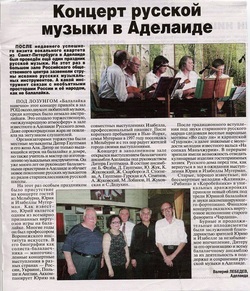 ...and my Adelaide Balalaikas are preparing for another concert at the Russian House. But it was a long way in between. I started learning the recorder as any other kid in 1948, an old German tradition. Soon my sister started on the violin and I had to learn the cello - why? Because my Dad was a selftaught flautist and now we could play together on Sunday afternoons to the delight of our neighbours. Stamitz and Pez, Vivaldi and Haendel yes and when I was finally good enough in 1952 in Frankfurt where we had ended after passing through many refugee camps also the first Mozart and Beethoven. But every conversation stopped when the radio played the Don Cossack Choir - that was special music, different from all. The first album went golden pretty fast and the CBS offered the TROIKA to make an album - so we did. 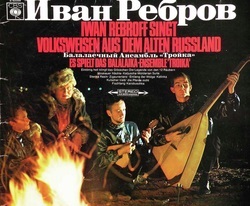 Today I shudder when I realize how little all three of us really knew about Russian music - but we loved it and I did my best to absorb and collect anything we needed to know.